The story of farming in the Macungie area spans almost four hundred years, and far longer if the seasonal villages of native Indians are included. Agriculture was the most important industry in this area from the time of the first Europeans in the 1730s until its predominance began to decline during the 1970s and 1980s. 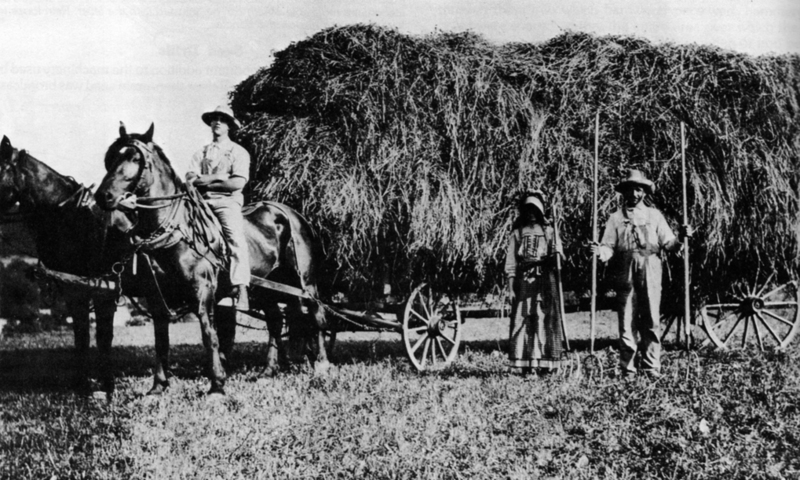 Through the 1700s mixed farming was practiced. Crops were grown for food, fodder, and income; flax was planted to grow fibers for home-made textiles; swine were raised for meat and fat; chickens for eggs and meat; cattle for milk, meat, and brawn. By 1800 much greater acreage was under cultivation, many farmers had become prosperous, fewer oxen and more horses provided power on the farm, and the size of homes, barns, and families had increased greatly. During the mid-1800s great changes took place on farms. Iron implements became affordable, crops could be transported by train, and advances were made in scientific understanding of soils, crop rotation, and fertilization. Industrialization affected farming in two ways: new types of machinery for planting and harvesting made it possible to produce more with fewer workers, and opportunities opened up for farm workers to find paying jobs in industries and businesses in nearby towns. Many, no longer needed on the farm, moved into places like Allentown and Emmaus. In the last sixty or seventy years great changes have taken place. Livestock and small grains have given way to corn and soybeans, and hedgerows separating fields have been erased so large equipment can be used. Some farming persists, but most of the land that was the pride of our forefathers has been built on and cannot be reclaimed for nature’s purposes.